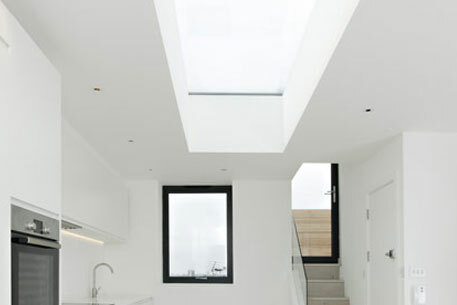 A fantastic addition to any home, our rooflight systems are a superb way of bringing maximum light into your property. We can install a rooflight into your home to create an entirely new perspective making a great addition to a kitchen or dining room. Just one of our range of home solutions to help increase the amount of natural light and ventilation, our rooflights can be designed and installed to your requirements. From fixed and structural walk-on versions through to electrically operated hinged or sliding models including frameless pyramid rooflights, we have a system that can suit your requirements. 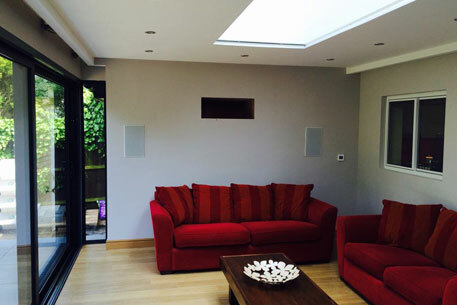 Our rooflights are extremely popular with clients looking to maintain privacy whilst wishing to make the most of the natural daylight – options can include heat and rain sensors, incorporated blinds and LED lighting and be fully remote controlled. Also enhanced thermal and acoustic properties, easy-clean coatings and coloured tint options are available. 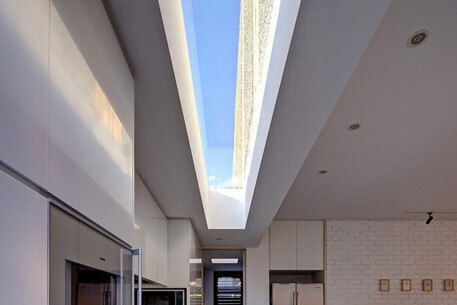 Please call us for further information on how we can design and incorporate our rooflight systems into your project on 0207 074 8989, or email us through our contact page.